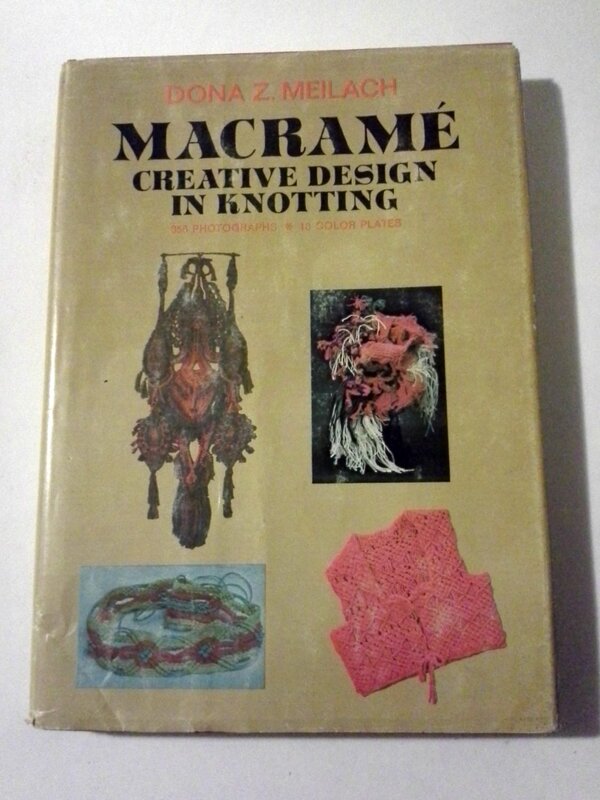 Macrame Creative Design in Knotting by Dona Z Meilach, Hardcover, copyright 1971 with 356 photographs and 10 color plates, 212 pages. I bought this book secondhand. It's not really a typical pattern book, although you can learn some macrame knots and ideas here. It's more of a small coffee table book for macrame enthusiasts, with lots and lots of photos of really stunning, inspirational macrame art. Most of the photos are in black and white, but there are also 10 color plates. Most of my items ship in the USA with first class mail, but this is a pretty heavy book (28 ounces) so standard shipping will be media mail. If you need it in a hurry, please send me a message and we'll figure out a shipping method and price.